Back to school. With just two weeks to go i’m conscious that I need to start getting organised. First up then, school shoes. We could probably eek out another term’s worth of receptions pair if they weren’t looking quite so worse for wear. But I would feel totally mean sending Annabella into year one looking anything but polished and smart. She would be mortified if no-one else. So the hunt is on for something practical, (velcro straps), in black leather, (she’s not allowed blue or patent) and that also look cute. I am not a Clark’s shopper. 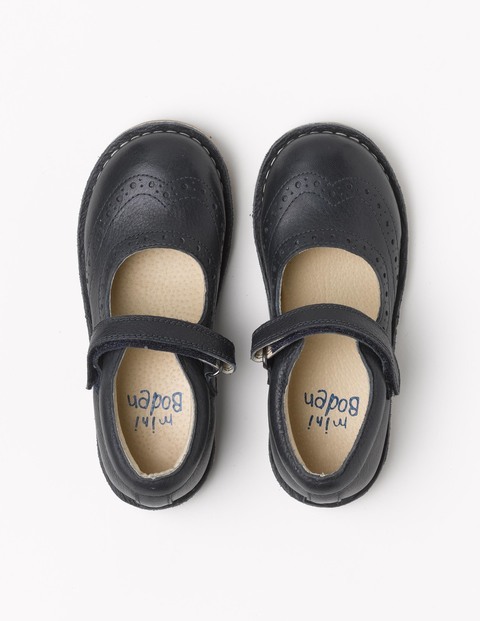 If you have kids in school already you will know that school shoes are probably one of the most un-inspiring things out there when it comes to shopping. And i’m lucky I have girls. 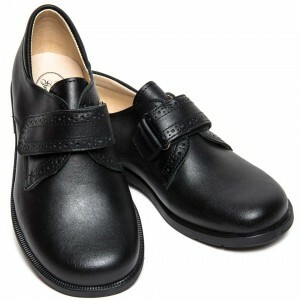 Boys school shoes? Well let’s just say they come under the same style bracket as crocs. So it has taken a while to track down ‘the pair‘ bearing in mind also that I don’t want to spend too much – After just a week they will look at least a term old, even after a polish every morning. Although daily polishing, I think, really makes a difference to their wear and longevity. I also found something as nice as possible for the boys, they are rather smart I thought and relatively in-offensive? Bonus they are currently on sale, although I am a little confused by their sizing?